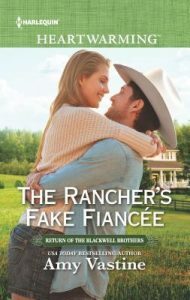 Ten years after he eloped with Katie Montgomery’s sister, Chance Blackwell is back in Montana to sell his family ranch. Katie could lose her job and the only home she’s known. 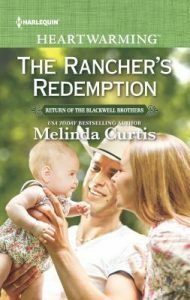 But the loyal cowgirl is keeping a secret that could shatter trust and jeopardize her future with the widowed musician and her toddler niece. Unless Chance’s growing affection for her and all things Blackwell can earn Katie his forgiveness—and his love. 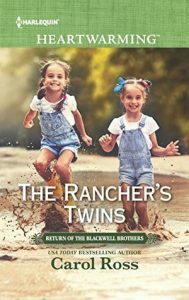 Anna J. Stewart may have had the most difficult task in writing the final Blackwell brother’s story but she nails it as the youngest brother returns to Montana and the family ranch after a decade away. Chance’s daughter, little Rosie, is ecstatic to be on the ranch with all the animals and loads of family surrounding her. This little darling almost steals the show. Almost because readers of the entire series have gotten to know the tough-as-nails woman who keeps everything running. 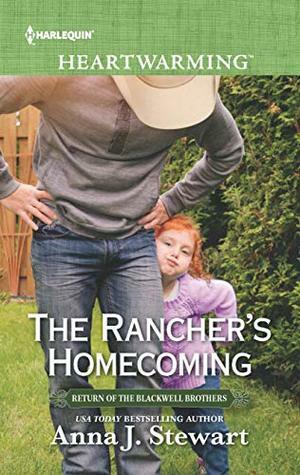 It’s fitting that she stars in the final entry since Katie Montgomery has known the Blackwell ranch as her only home. And she’s done something she’s not proud of to keep it that way. 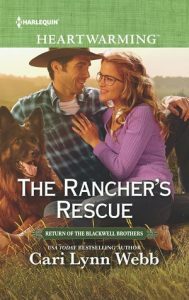 With lots of butting-in from the other four brothers and their significant others, will Chance and Katie realize the true importance of family and home? Or will they throw away the second chance that has been handed to them?